Your adventure on the water should be filled with fun, relaxation, and most importantly, peace of mind. 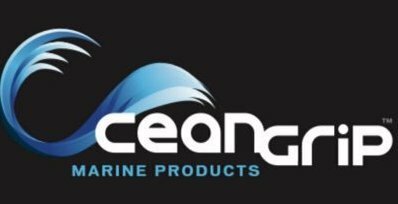 With OceanGrip products, you’ll get just that. We offer the best in non-skid surfaces for your watercraft, providing safety for your family, protection for your vessel, and comfort for the soles of your passengers! We have non-skid applications to suit all types of watercrafts. Whether engaging in water sports or other aquatic activities such as fishing, cruising, sailing, skiing, diving, or just relaxing, OceanGrip will deliver the peace of mind that you and your passengers deserve. Oceangrip is now providing seat cushions for Deck Gear's fighting chairs! Oceangrip and Hovie are teaming up to bring you the best Paddleboard and Raceboard on the Market.